Should You Throw Out Your To-Do List? If you are like most professionals, you likely wake up every morning, checking your to-do list to see what requires your attention. Without this piece of paper or digital document, not many of us would know what to turn to first, and would be utterly lost amongst all of our professional and personal responsibilities. The question that is important to consider is whether our to-do list actually helps or hurts our productivity. 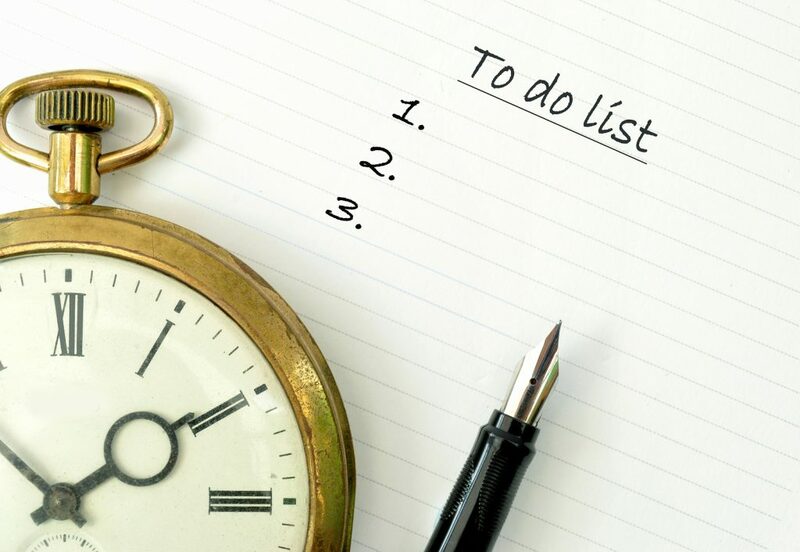 After reading this article, you can decide whether you should throw out your to-do list. Since individuals are busier than ever before, it becomes increasingly difficult, if not impossible, to remember all of our obligations. Most of us have a hard time remembering what to purchase at the grocery store, much less juggling work and home demands. The biggest benefit of a to-do list is that it provides one place to write down and remember what needs to be done, and the ability to refer back to this source whenever you need. Many times, we know what we have to do, but we have a hard time getting up and actually doing it. A to-do list has been found to help encourage people to get their tasks done, as seeing a responsibility in writing and having the desired reward of crossing it off the list can be motivation enough to accomplish the task. One complain that people have about to-do lists is that they are overwhelming as the tasks seem never endless and the list simply grows and grows. While crossing off items can serve as motivation for some, a long list can simply deter others from even trying to tackle the myriad of responsibilities. Another drawback of a to-do list is that tasks are listed one after the other, and it is common to forget that you have to order toner as your office printer is completely out, and instead spend time reorganising the supply drawer, because that just happened to be first on your list. A great alternative to a long to-do list is a daily or weekly organiser, where you write the most important and pressing tasks, followed by ones that are not as urgent. This way, when opening the organiser, you will not feel as if you are drowning in tasks, and, instead, feel confident that you can accomplish the smaller list of items you have planned out.